When an individual is forced to have an unwanted marriage, there are two ways of ending that relationship – with a happy or unhappy ending. But when that individual is a woman and the husband is a man who is unwilling to cooperate in strengthening a settled marriage, there is nothing good that will come out of it. And soon both of them will learn the price of being loved and being abandoned by love… And that is the least you will have to prepare yourself for in a wild ride before seeing the powerful period drama LADY MACBETH based on Nikolai Leskov’s novella “Lady Macbeth of the Mtsensk”. IN 1865, a 19 year old bride Katherine (Florence Pugh) is sold by her own father, in a package deal with a bonus land that seems nobody wanted. Katherine, as a human being is deprived of freedom. She is forced to marry Boris’ middle-aged son, Alexander, who does not seem to appreciate her beauty. He orders her to stay indoors forever, having no fresh air, as she deserves nothing more than that. Even when he demands her to take off her night dress, by looking at her all what he does is – makes himself to fall asleep. William Oldroyd’s direction in the movie is flawless. He knows when and how to capture Katherine’s expression, when you could get more out of one scene even a simple line would have failed to deliver. 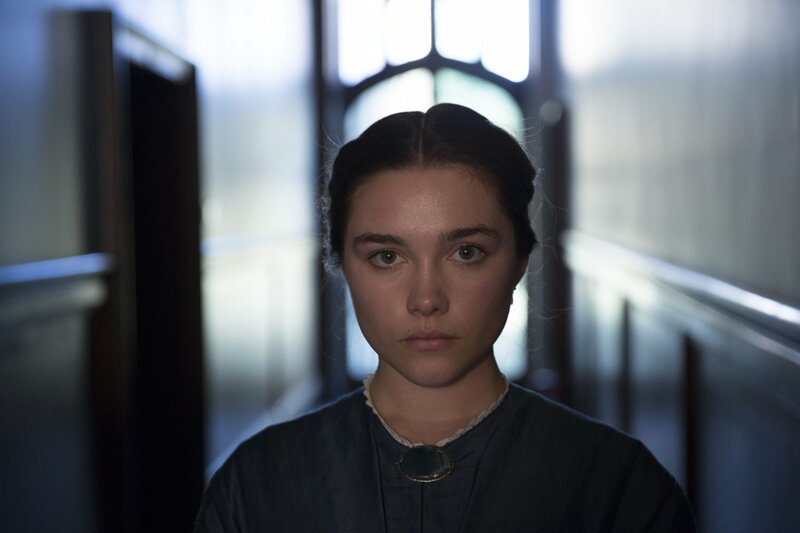 Florence Pugh, perhaps did an amazing job studying Katherine, as what she did with her performance was not only impressive, but powerful and astounding. She well captures what not even Sebastian could have messed with her mind. She is strong, determined and knows how to defend herself. Naomi Ackie, who plays Anna is impressive. In one particular scene she will make you feel her embarrassment and pain, when she had to walk out of the kitchen on her knee. In conclusion, it’s simply unbearable to watch LADY MACBETH due to the harshness of the storyline, and its way of being told. It’s masterful, captivating and solidly directed. At some point I am sure you will wish to stop watching it, because it simply could not go on the way the storyline was unfolding. It was painful to see how Katherine was changing over the course of the movie… For that, should we blame her for who she became or dislike her for being ruthless… But I guess, sometimes a difficult life can force one to become a vicious person… we just wish, it would never have happened to her….